Very classy heroic bunch here. If I had to be reborn as any person, I’d pick Gerard Way. Great writer? Great musician (if you’re a Millennial, anyway)? Dude is unstoppable lately. And the song he put out for the newest wave of Umbrella Academy promotion just totally rules. You might have heard some of the song in the new trailer for the Netflix show, based on Way’s comic series, but you have to hear the full track. “Hazy Shade of Winter” starts slow and moody, before building to wild, rolicking, energetic. The driving guitar, the slowly build of the vocals? Oh, it’s good, good stuff. 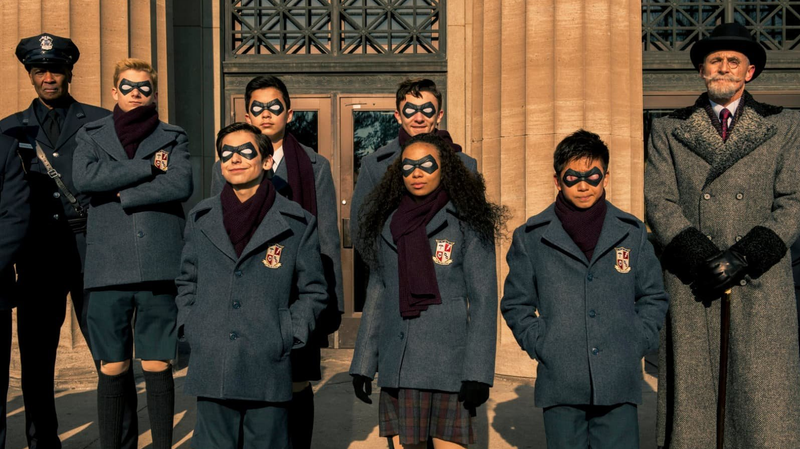 Umbrella Academy comes to Netflix February 15, and I’ll be jamming to this song until then.